Lawn care is more important than many people realize: a well-tended lawn increases curb appeal and the value of your property. Even if you have no plans to sell your home, a vibrant lawn improves the quality of your home and its surrounding environment. Though caring for your lawn can be costly, keeping your grass green and perfectly pruned doesn’t have to break the bank. 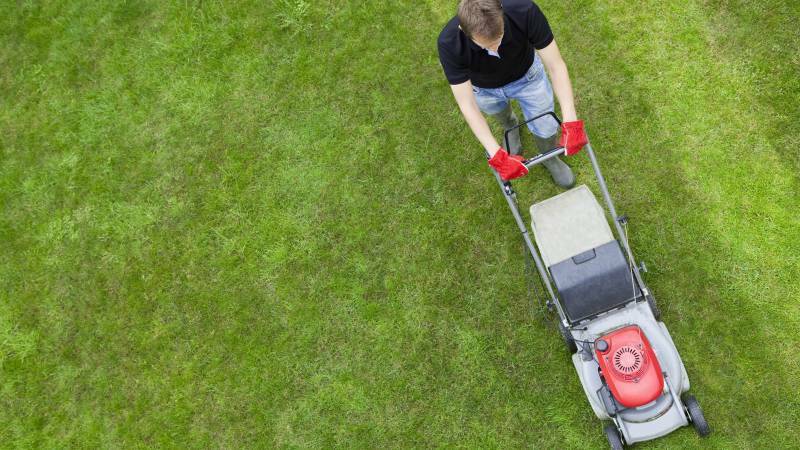 Here are a few budget-friendly lawn care tips to put into practice if you’re looking to save. When you hire a lawn care service, you no longer need to worry about doing the work yourself. Lawn work can be problematic for older adults, and it’s dangerous for inexperienced gardeners who often work too hard in hot weather. A professional lawn care service takes out insurance on its staff to protect against risks and educates its workers about how to avoid common hazards. Another fantastic benefit of a lawn care service is you’re placing your lawn in the hands of experts. These benefits can save your lawn – and a lawn care service can even save you money. The average cost of DIY lawn care is between $500 and $1,000 just to get started with your own mower, according to Realtor.com. Hire a service, and your cost would average just $30 per visit. You don’t have to break the bank to find cheap, reliable lawn care in today’s competitive landscaping industry. Every local business needs to fill their schedules with work, and many companies will offer a discount for lawns that are relatively easy to maintain. You can get professional results at affordable rates because of the many lawn care apps that match customers and workers. In generations past, neighborhood kids and handymen cut the grass, but these people seldom did a professional job or had access to the right equipment for larger lawns and gardens. Today, digital communities have replaced neighborhood acquaintances, and it’s easy to find lawn care online. You can easily hire someone who’s willing to do just the work you need at an affordable price. Measure your lawn before asking for quotes. Smaller lawns are often cheaper, but there may be discounts for different square footage. Ask about the equipment the service has to ensure they have everything your lawn needs. Ask about included services. Are add-ons like fertilizer, plant trimming, and soil checks included? Or is there a fee for everything beyond mowing and watering? Shop around. Look for the lowest price with the best reputation – so read about companies’ reliability and customer service online. Make sure to compare the companies and services you find online. Check out what services each offers, from garden maintenance to mowing to pest control. Ask for a quote or an estimate, and see if they offer any new customer specials or discounts on different services to find the cheapest price. Good lawn care needs to be consistent. Wise homeowners arrange to aerate the soil and fertilize the lawn and garden year-round, taking great care with their lawn and plants. It’s always possible to do some of the work yourself, but hiring a professional lawn service covers the gaps in your knowledge and willingness to stick to a regular maintenance schedule. Additionally, opting for a lawn care service saves you time and money. You’ll no longer need to spend hours out in the sun watering, mowing, and fertilizing your lawn. Instead, a service with expertly trained employees can tackle these tasks in minutes rather than hours – and you won’t have to spend hundreds of dollars to get the job done each week or a few times each month. Interested in finding affordable lawn care in your area? Start a search today.